Customize this cotton grocery tote and get to market fast – 24HR! Give your customers a personalized bag that they can reuse with each trip to your store. 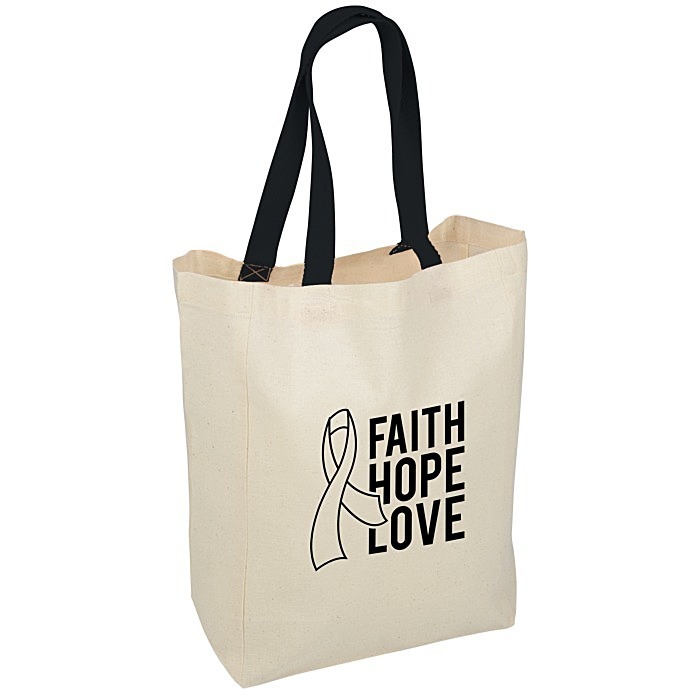 This 5-oz cotton canvas tote also provides reliable integrity for everyday use. The bold pop of color on the 17-1/2" straps of this natural-colored tote provides a simple visual contrast. Size: 14" x 10" x 5". Your price includes a one-color imprint on the front of the tote.